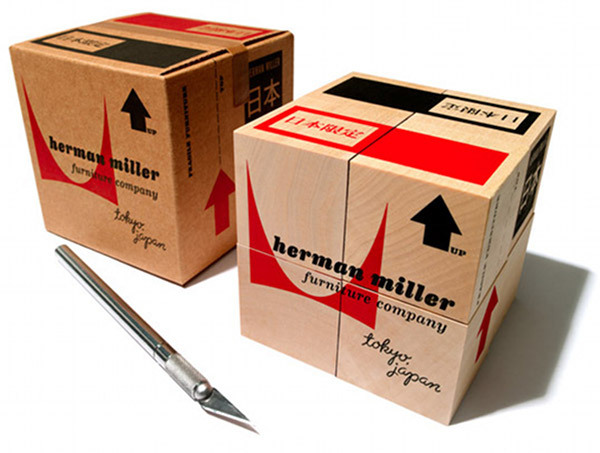 I love the smattering of wit and big dose of great design applied to these stunning blocks, but that’s what we’d expect from a collaboration between Herman Miller and House Industries. 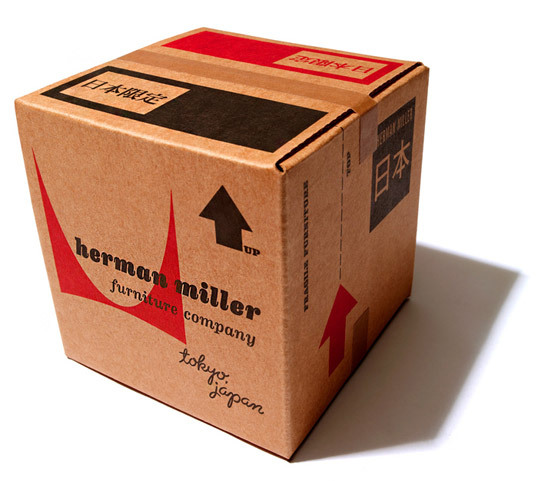 These beauties are available exclusively at the new Herman Miller showroom in Tokyo, making them that much more collectable and covetable. A remarkable feature of the set of blocks is the packaging design – this groovy box may look full-size but it’s actually a miniature with perfectly scaled brown box tape, which was apparently one of the most difficult tasks of designing the set. The box contains eight basswood blocks featuring House Industries numbers, letters and patterning. This is a limited release of only 100 for 15,750 yen which is about AUD$200. 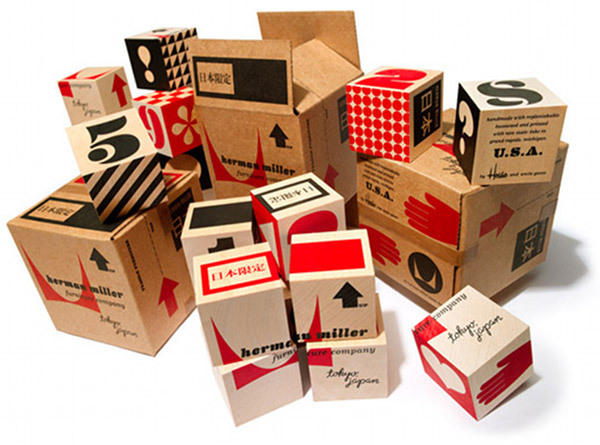 Also see our past content on Herman Miller and House Industries.